Four Ways To Speed Up The Water Damage Repair Process | MA Restoration Inc.
Water damage restoration can be a nasty business. The initial damage caused by the water damage and flood can be quite substantial. However, water damage also carries serious long-term consequences that can significantly damage your home and be a safety threat to you. Thus, it is important that you get through the water damage repair process as quickly as possible. Doing so prevents extensive mold growth as is often common with water damage. It can also prevent dangerous structural damage and exposure to contaminated water. Below are a few different things you can do to move the water damage repair process along as quickly as possible. Nonetheless, the best place to start is to always contact a certified cleaning and restoration company. In the Framingham area, our team at MA Restoration is one such company ready to help you with the restoration process. This is one of the most critical aspects of ensuring the water damage repair process goes swiftly and efficiently. Every single hour you wait to begin the restoration process after a flood matter. Mold can begin growing as soon as 24-48 hours after a flood. 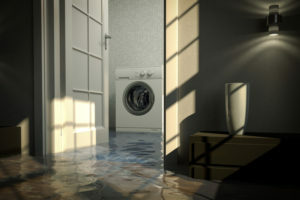 Furthermore, the longer floodwater sits in your home the more likely it is to soak into your walls and carpets making it much more difficult and expensive to remove. This is a very simple measure you can take after a flood, but it can make all the difference. Basically, all you need to do is open all the doors and windows that you can. Then, use any fans you have to increase the air circulation throughout your home so it will dry out faster. Be careful using fans, however, as the surrounding floodwater could turn them into an electrical hazard. Nonetheless, this is a great step for you to take since you can do it on your own and it doesn’t require any experience. Obviously, staying safe is of paramount importance to you. Being harmed by the floodwater or exposed to dangerous mold or bacteria could take you off your feet and ultimately slow the entire restoration process. More important than that, however, is just your overall safety. Safety should never be sacrificed for speed. At the end of the day, there is one thing you can do that greatly surpasses all of the advice above in importance. That is calling a professional cleaning and restoration contractor as soon as possible after a flood so they can help you begin the water damage repair and restoration process as soon as possible. A professional cleaning and restoration contractor will be able to get the job done much more quickly and efficiently than you would be able to do on your own. Once again, we at MA Restoration in the Framingham area are just one call away and here to help restore your home after a flood.